Turns from a ride-on to a scooter. Max weight is 60lb. Sells for $39.95 at Toys R Us. Great shape. 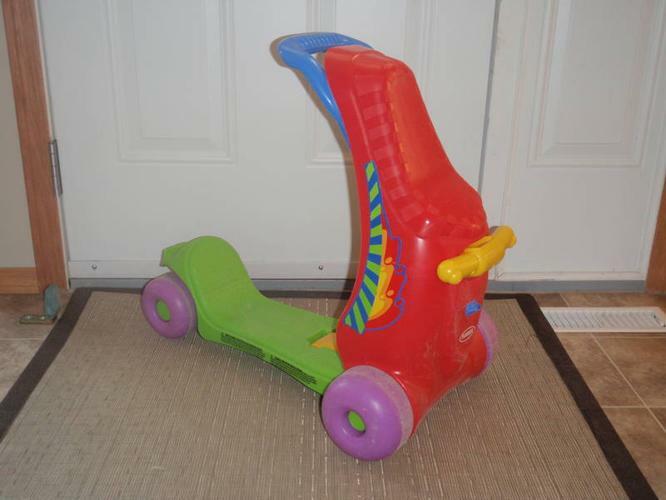 Great toy to ride as a toddler and then learn to use as a scooter later on.